Speaking to Knesset, PM Binyamin Netanyahu says it appears P5+1 have made their minds up already - and so has Israel. As talk continues of an imminent deal between Iran and world powers - one which reportedly would see Tehran receive all of its demands - Prime Minister Binyamin Netanyahu has added his voice to a growing number of senior Israeli officials warning that regardless of the outcome, Israel is not bound by the deal. "Even over the weekend, as Iran continued to receive more and more concessions at the negotiating table, Iranian President Rouhani led a march of hatred in the streets of Tehran in which the masses cried, 'Death to America! Death to Israel!'" 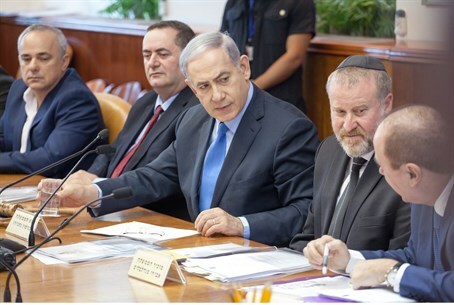 Netanyahu said, describing Iran's recent "Al Quds (Jerusalem) Day" in an address to the Knesset Monday. "If the concessions continued even after these unequivocal calls for the destruction of those conducting the negotiations, it seems that there are those who are ready to make an agreement at any price – and this bad agreement is unavoidable," the prime minister acknowledged. He noted that Israel was never under any illusions that it could control the outcome of the negotiations, despite Jerusalem's intensive efforts to explain its opposition to the looming agreement and lobby against major concessions - but that didn't mean Israel would stand by and allow Iran to acquire nuclear weapons. "In any case, we never committed ourselves to preventing an agreement, certainly not one that the major powers are ready to sign at any price. "We did commit ourselves to prevent Iran from arming itself with nuclear weapons – and indeed, were it not for our efforts over the years, Iran would already be able to develop atomic bombs. "Our commitment is to prevent Iran from arming itself with nuclear weapons and it is valid today more than ever. I call on all those who care about Israel's security to unite behind this commitment."